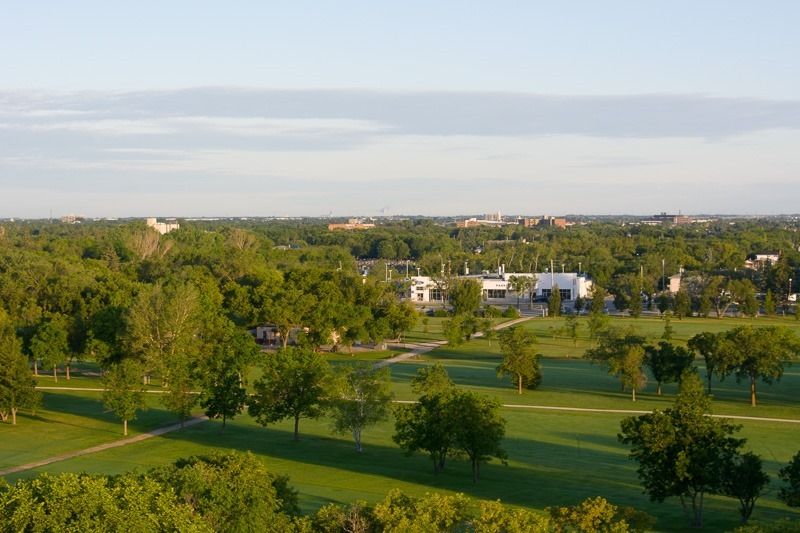 The flight started from Kildonan Park, in the north of Winnipeg. The pilots do not have the right to fly over the city, so they have to find a flight path and wind direction that leads them not too far from the city, but not over it. All started at around 5:30 in the morning, a little before sunrise. 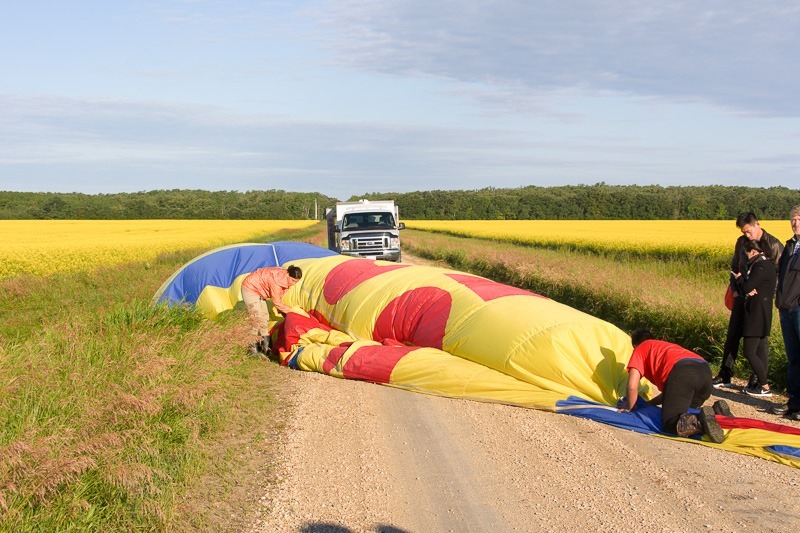 First, get the balloon out of the truck and unrolled. The whole thing weighs a few hundred kilograms and must be manipulated with care. It is made of rip-stop nylon, unlike the original balloons or aerostats that were made out of… wallpaper. In 1783, in front of King Louis XVI, a rooster, a duck and a sheep are the first to become airborne with the help of a hot air balloon. The duck was there to show that flying with this contraption would not cause death. Upon arrival a few minutes later and several kilometres away, the sheep was nowhere to be found. Voices were heard that it had been absorbed by the skies and that flying was not natural and dangerous. They found it a few minutes later grazing in the bushes in perfect health. It finished its life in the Royal Zoo. 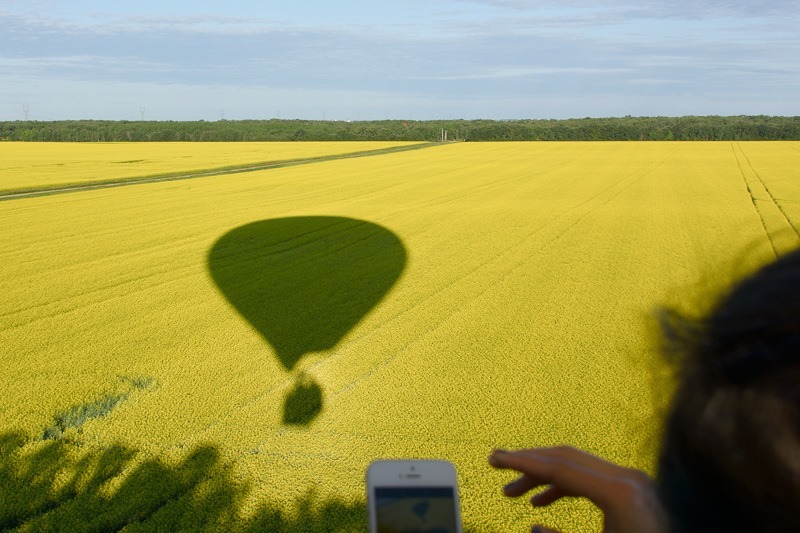 Today, hot air balloons are inflated by using industry strength fans. 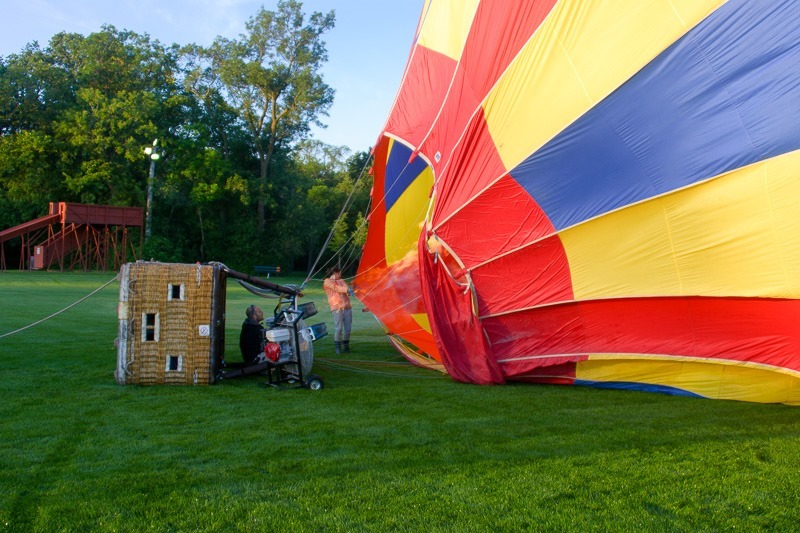 Once there is enough air in the balloon, the heat is turned on and the air is rapidly getting hot enough for the balloon to rise up in the air. That is also the moment to get into the basket as it will not wait for late-comers. With my weight, I was one of the first to be ushered into the basket in an effort to keep the balloon on the ground a little longer . 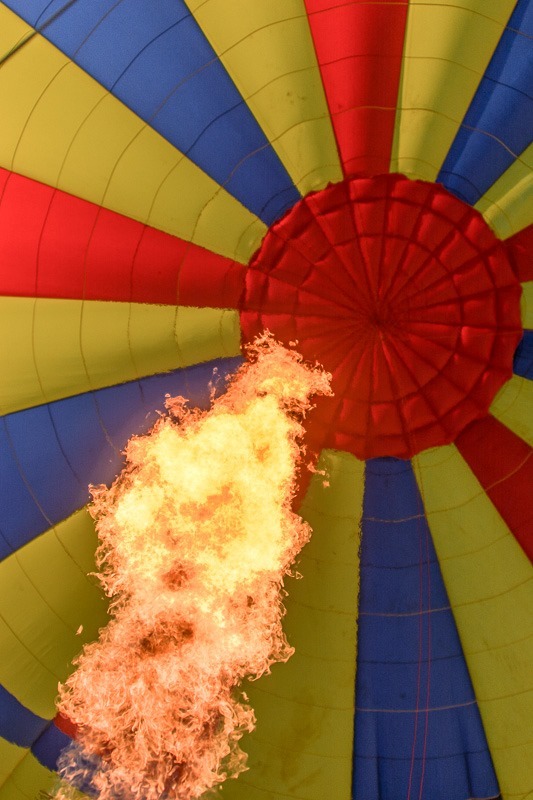 The enormous propane burners heat up the air inside without ever touching the sides of the balloon. In the days or the Montgolfier brothers, heating was done with dry and wet straw. The smoke rising visibly in the air was believed to have the ascentional power. Later the wet straw was replaced with more dry straw and the balloons were even easier to lift. The first manned flight was at the west side of Paris on the the grounds of what is today the Bois de Boulogne. An army officer lifted off with a Marquis, they drifted over Paris and landed on the east side of the city. 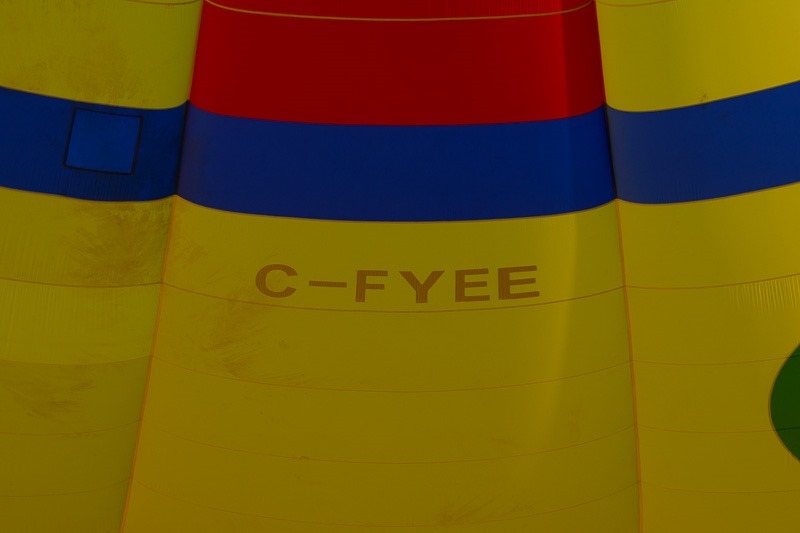 Today, the balloons have call-signs like any other aircraft in the sky. The transponder that emits the call-sign to be seen by air traffic controllers was also aboard. We took off pretty fast after the first signs of the balloon rising by its hot air. At first I didn’t ask how high the balloon would go and thought that about 300 meters it would stop. 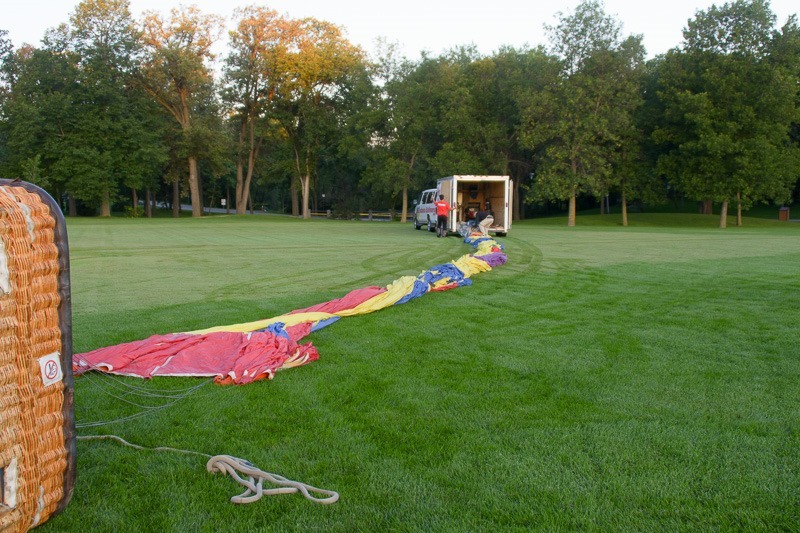 As it turns out, the limit for recreational balloons around airports is 2,500 feet. Our balloon was held at a maximum of 2,000 feet by the pilot, just to have a margin in case something was amiss. 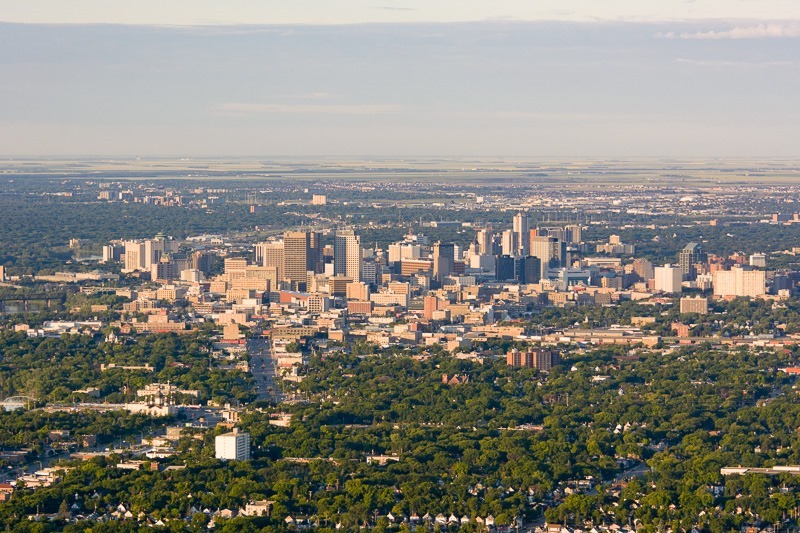 I had seen Downtown Winnipeg a few times already when arriving by airplane, but to be able to photograph it in all quietness was unique. Needless to say I have many pictures from that morning. 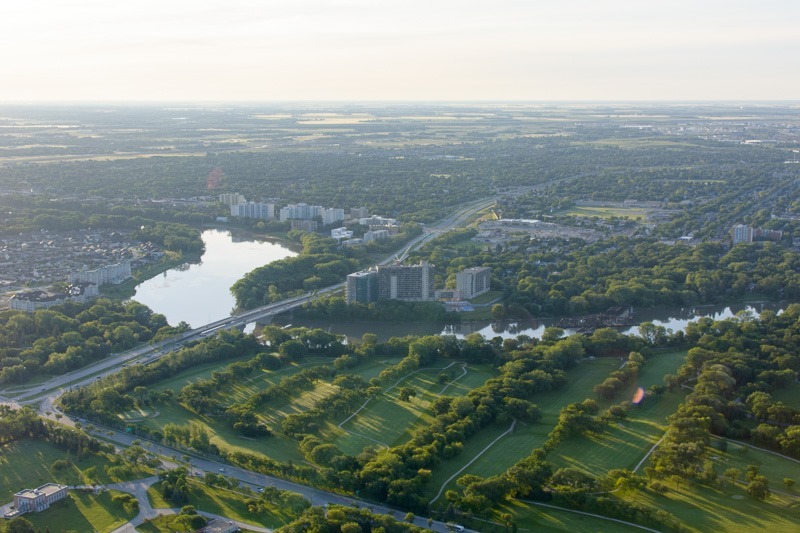 We slowly drifted away from the city in the direction of Stonewall. 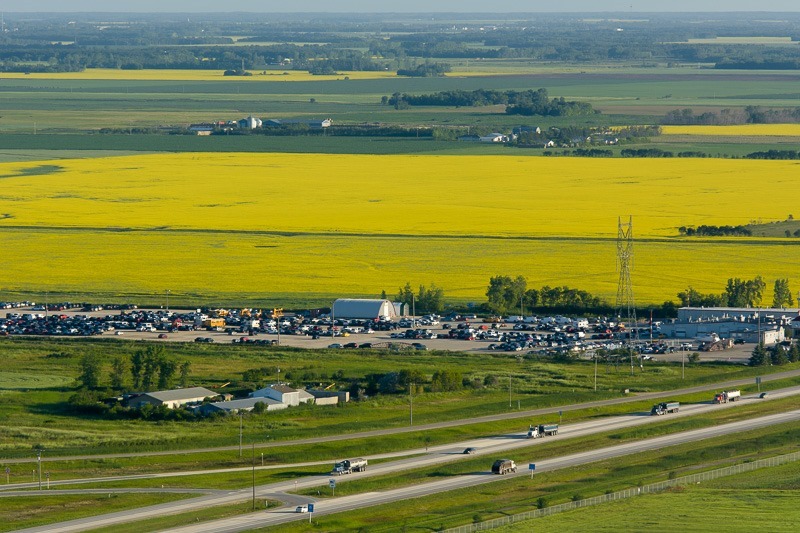 Here, Highway #7 with the Adesa car auction house and huge canola fields behind it. At this point we had lost already quite some altitude, but the terrain was not very suitable for landing. I guess the number of hydro poles with high voltage lines had something to do with that . The other passengers aboard all had a cringing habit of taking their selfies with their phones outside of the basket. Every time I saw them do this I was scared for the people on the ground in case anyone would have a hiccup and drop the phone. Everything went well, this time. Champagne. This was indeed a first for me, champagne before 8 in the morning. I must say that I could get used to that… . A bottle of champagne was usually reserved for the farmer in whose field a balloon would touch down. Sometimes they arrived with pitchforks to destroy the contraption, so a bottle of champagne was something to placate them with right from the start. 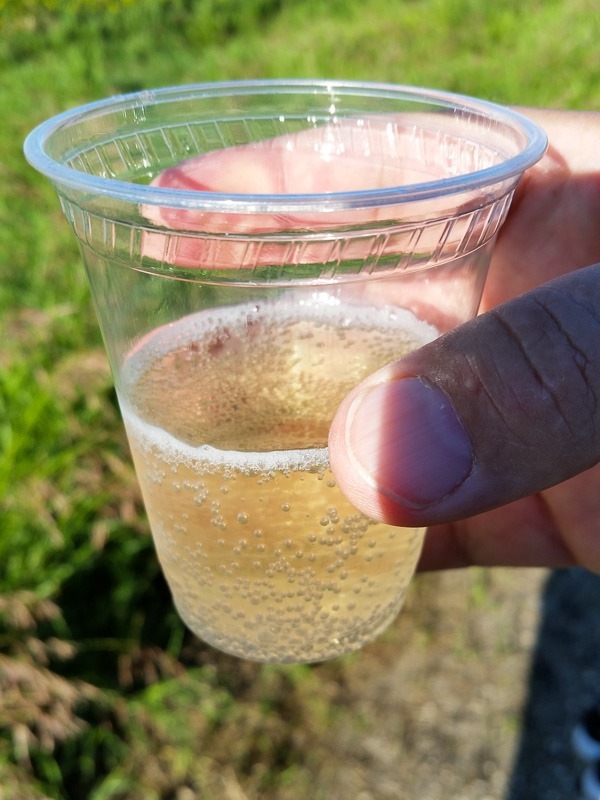 This time, no crops were damaged so we got to drink the champagne instead.